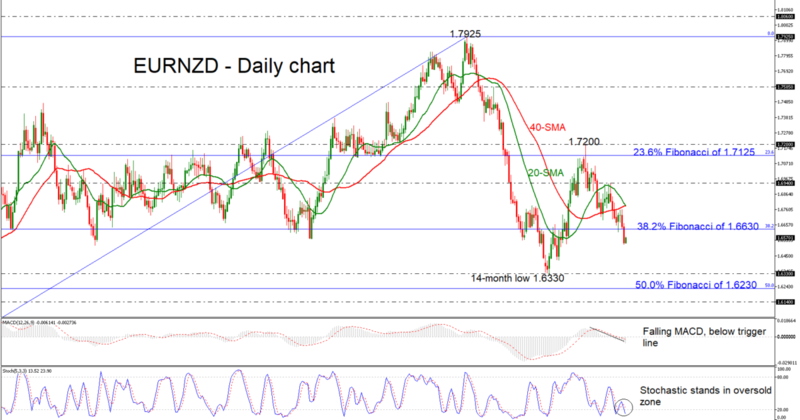 EUR/NZD unlocks 7-week low; SMAs post bearish cross. 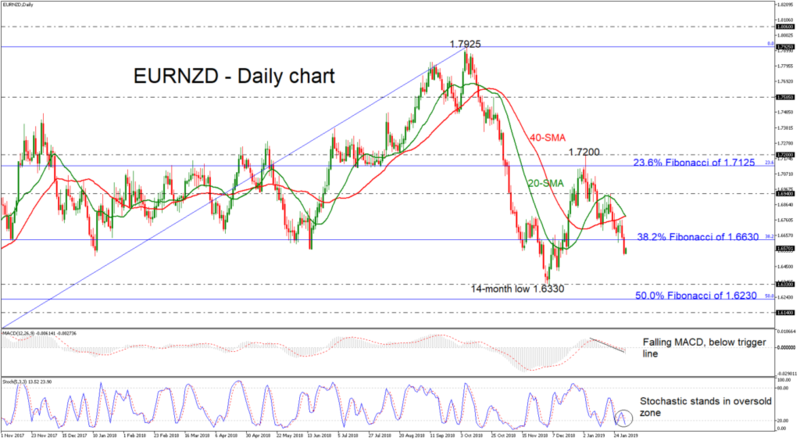 EUR/NZD has declined considerably over the last couple of days, posting a new seven-week low of 1.6526 on Thursday. 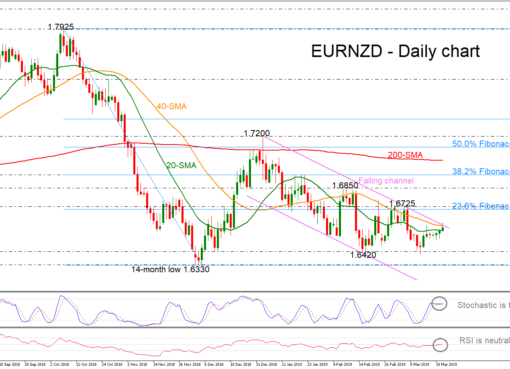 The price slipped below the 38.2% Fibonacci retracement level of the up leg from 1.4535 to 1.7925 around 1.6630, while the 20- and 40-simple moving averages (SMAs) are ready to record a bearish crossover in the daily chart. The MACD oscillator is slipping below the zero and trigger lines keeping its momentum negative, while the %K line of the stochastic oscillator recorded a bearish crossover with the %D line, in the oversold zone. The next level for traders to have in mind is the 1.6330 support, before slipping towards the 50.0% Fibonacci mark of 1.6230. Lower still, the bears may aim for the 1.6140 support, reached on September 2017. On the other side, a successful surpass of 38.2% Fibonacci region could drive prices higher towards the bullish crossover within SMA currently at the 1.6785 level. 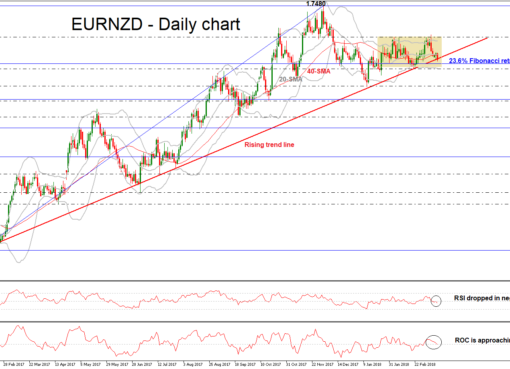 Slightly above this area could send prices until 1.6940. Further upside pressure may meet again the 23.6% Fibonacci of 1.7125. To sum up, the market is expected to hold bearish in very short-term and in the medium-term. 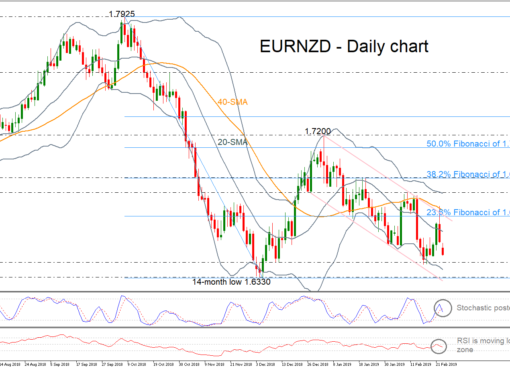 A significant decline below the 14-month low of 1.6330 could endorse the negative outlook in the long term as well.